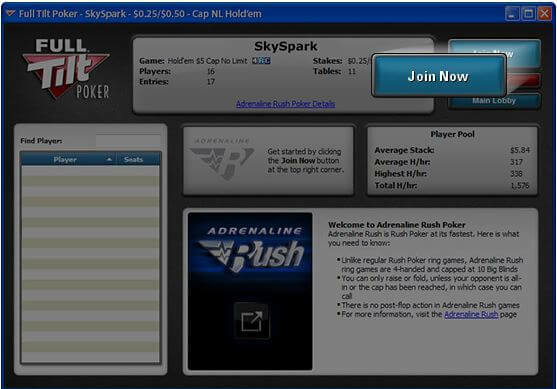 Full Tilt Poker has announces the addition of Adrenaline Rush which is the newest addition to the Rush Poker family. This new feature offers a wide range of stake-levels which will allow players to get their hearts racing as this is the fastest-paced poker game currently available. What makes Adrenaline Rush so unique is that all ring games are 4-handed, betting is capped at 10 Big Blinds and buy-ins range from 5 to 10 Big Blinds. All of the betting will occur pre-flop and most cases players will only have an option to raise or fold. 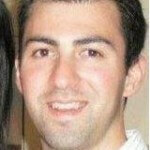 In order to maintain this quick pace players will use either the Raise Max or the Quick Fold option. If a player clicks on Quick Fold then they will be taken to a new table immediately with new hole cards shown. Full Tilt Poker players love the thrill and excitement of fast-paced, quick-fold action, and Adrenaline Rush pushes the envelope on speed and excitement. The name reflects the kind of emotional state the game delivers; it’s even faster than our original Rush Poker so you can pack in even more hands per hour, win even more pots and play against an even larger number of players.